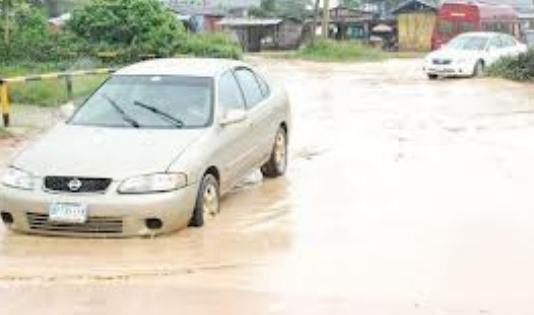 Residents of Bomadi, headquarters of Bomadi local government area, Delta State are crying out over the abandoned Unity Road project awarded by the NDDC at the GRA extension of Bomadi, Our Bomadi Correspondent reports. The residents including landlords, tenants and some members of the community groaned recently following the evacuation of working materials left at the construction site by the contractor after abandoning the road project 2 years ago. They said they were happy when the Niger Delta Development Commission, NDDC awarded the contract for the tarring of the 1km road stretching from Unity road meandering to link Oloumo road as well as the construction of drains on one side of the Unity end of the road but they were shocked when in 2011 the same year the contract was awarded, the contractor stopped work on the road and recently evacuated its working materials. Investigation reveals that the 1km Unity road project was allegedly awarded in2011 by NDDC to one Felix Tuodolo’s company, an indigenous firm. Efforts to speak with the former IYC president via mobile phone failed as he ignored all calls from Our Correspondent. A community leader and chairman of Bomadi Federated Communities, Mr. Clement Tikpa in a recent media chat said government of Bomadi town council will continue to be a watchdog to contractors handling various projects going on in the area, maintaining that he will monitor contractors to make sure that projects are not only completed, but also to specifications. Tikpa stressed that he will not hesitate to speak out if any contractor is involved in shoddy jobs and added that a technical team of engineers will soon be set up at the community level to see that no shoddy jobs are done in Bomadi. While commending some contractors whose jobs are at various stages of near completion, the community chairman alleged that Bomadi town has a litany of projects whose contractors have stopped work for unclear reasons, a situation, which according to him does not make for qualitative project implementation as well as having the potential of frustrating developmental process of the local government. He therefore called on both the federal and state governments as well as NDDC to review road contracts to concrete pavement roads which characterizes inner street roads in Bomadi have become obsolete and outdated.